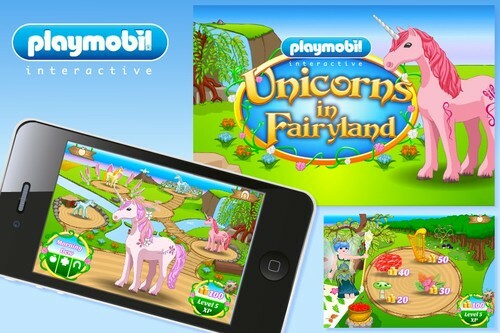 Staffordshire-based digital agency TAMBA has won the account for a PLAYMOBIL app for the company’s newly released series of Unicorn and Fairy toys. With “Unicorns in Fairyland”, the agency has created a unique, virtual world to be accessed by children aged 4+. Using the PLAYMOBIL Fairies toy sets, the app encourages children to nurture and care for baby unicorns, taking them into full grown adulthood. Through features such as feeding, grooming and decorating, children can personalise the unicorns to suit their own characters. The app has been released in line with the launch of the new toy sets. With the secret codes from the four PLAYMOBIL Fairies bags available in stores, additional game content can be activated.